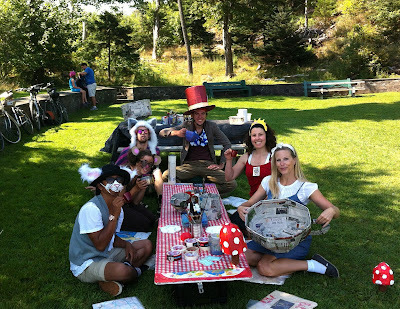 ART BIKERS: Mad Hatter Tea Party! 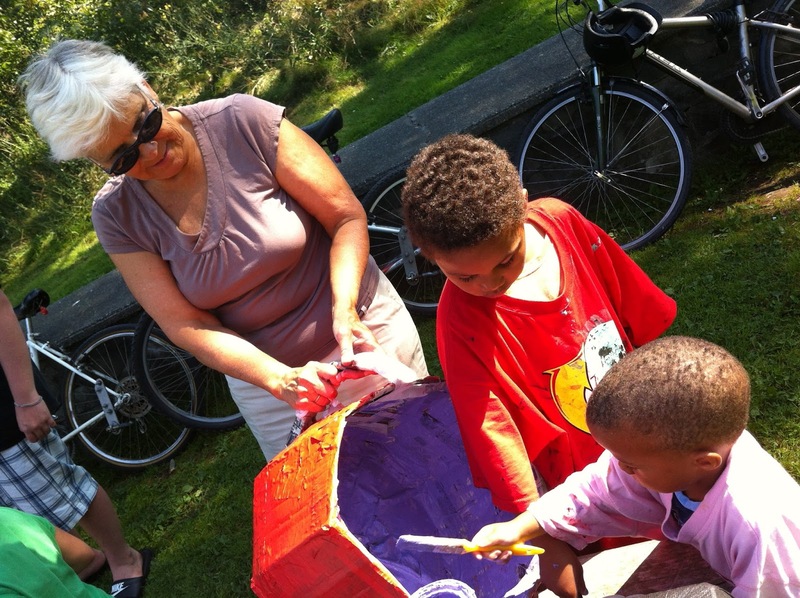 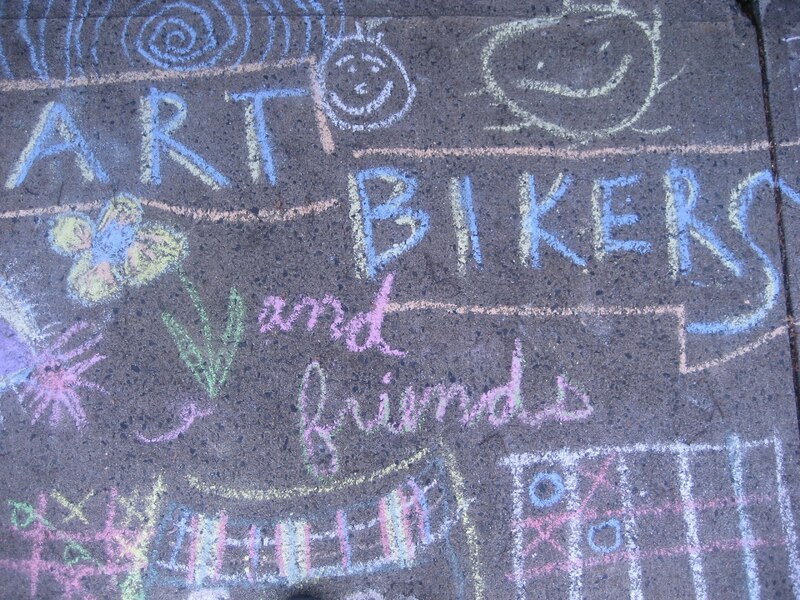 It's time to talk of cabbages and kings!.....Or of Art Bikers and awesome community art projects! 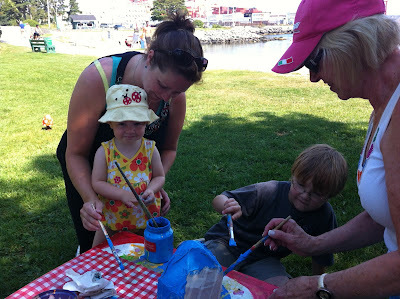 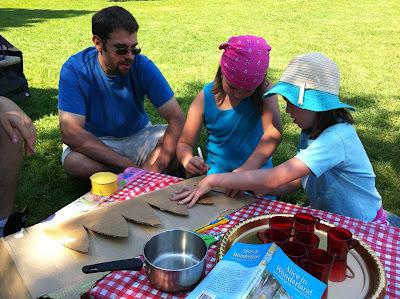 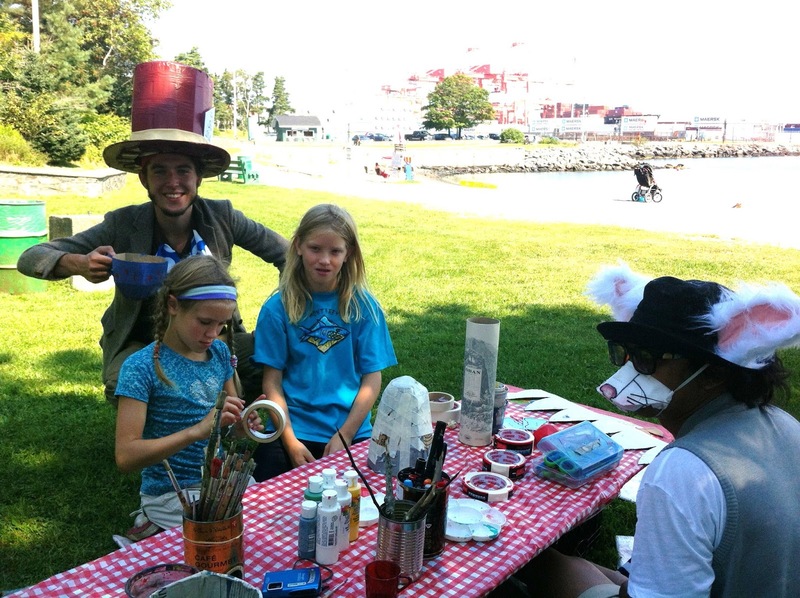 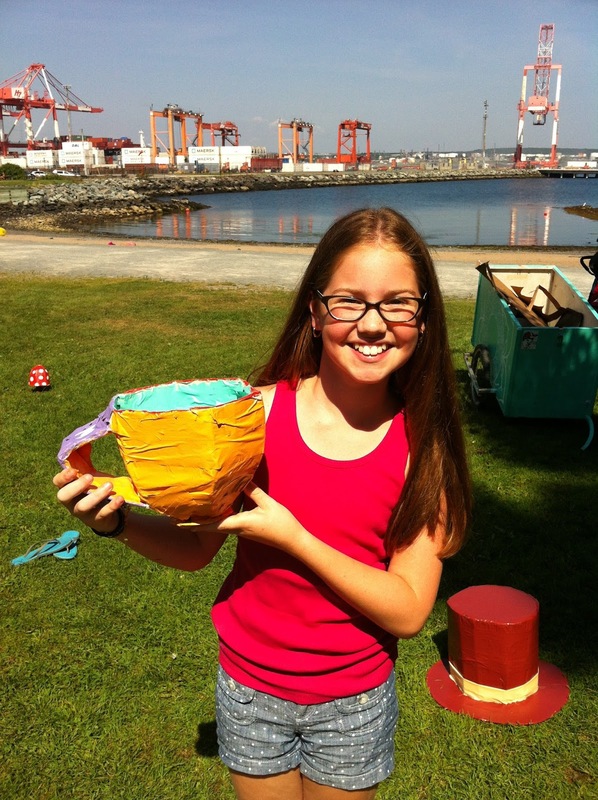 The team arrived in character to Point Pleasant Park on a beautiful day and we encouraged the people of Halifax to follow us down the rabbit hole - to make giant tea cups and wonderland toadstools. 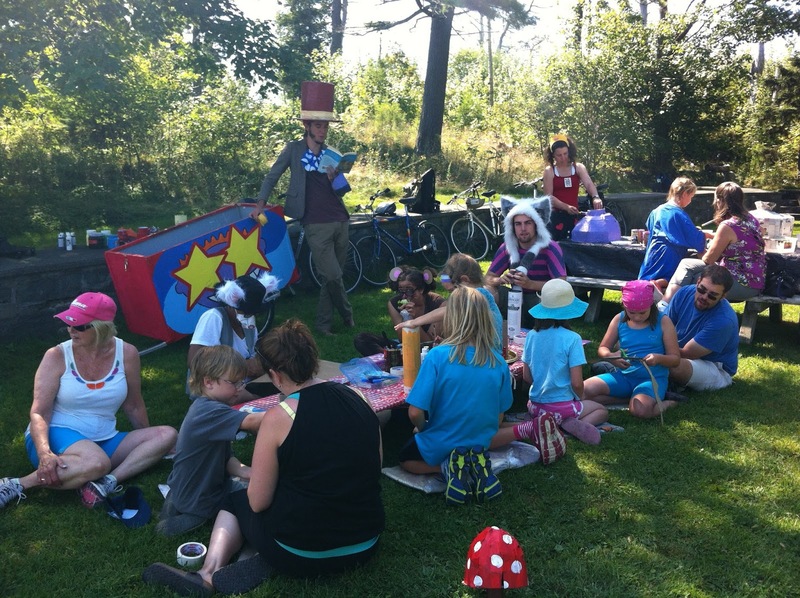 We read and acted out the storybook while participants listened and worked away, sharing laughs and solving riddles and making fun things!